In January 2018, HealthCorps ventured into a new partnership with Anthem Health Foundation and Good Shepherd Center in Los Angeles, California to provide health and wellness programming for homeless women and children in the Los Angeles area. 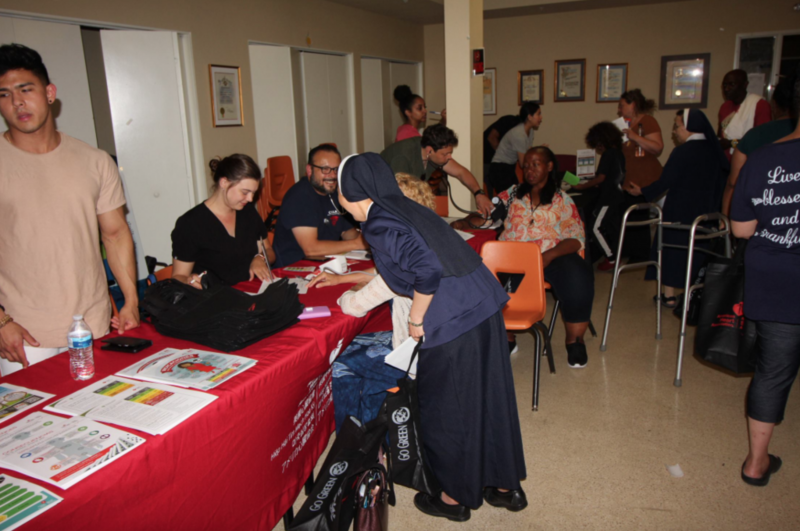 In July of 2018, HealthCorps hosted its first ever Health and Wellness Resources Fair for homeless women and children, in partnership with Good Shepherd Center of Los Angeles, California and the American Heart Association. Over 40 women were in attendance at the fair, which featured two HealthCorps booths and three community led booths. HealthCorps booths were led by teens of the homeless shelter, and focused on identifying ways to improve mental health, engaging in quick and efficient physical activity workouts, and learning about healthy and affordable snack options that can serve as a substitute for less healthier options. 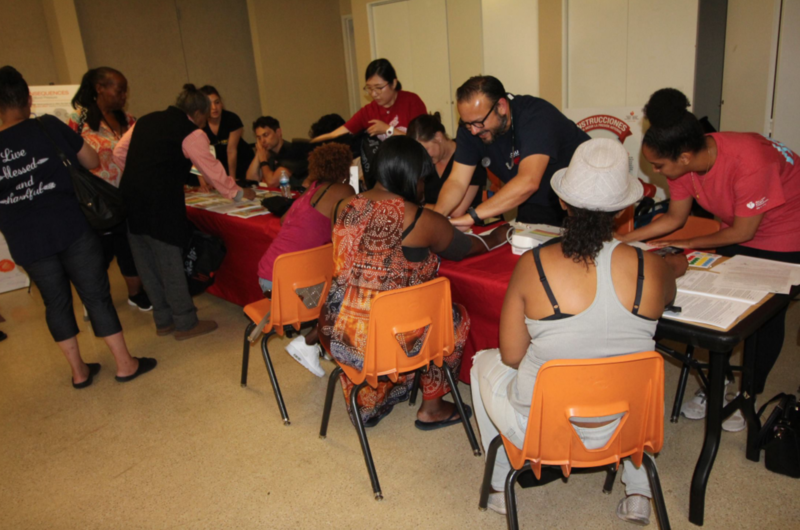 Community organizations such as Chrysallis, Deserving Love Foundation, and the American Heart Association, were also present to provide free resources on employment opportunities, dental hygiene care, and blood pressure screening checks. Six months prior, HealthCorps entered the Good Shepherd Center with the aim of providing a strong health and wellness program, tailored specifically for the homeless community, which utilized the HealthCorps curriculum. In addition to supporting more health and wellness centered programming for the homeless population, the Health Fair provided a rare and beneficial opportunity for clients of Good Shepherd Center to engage in an inclusive Health Fair which addressed many of the health needs clients had expressed in earlier health and wellness workshops and Café O’ Yea health information sessions centered around physical activity, mental resiliency, and nutrition. Clients were introduced to healthier snack options and creative physical activity ideas through the booth Fitness for Fruit. While here, clients engaged in a set number of physical activity exercises and were awarded a delicious fruit kabob for their efforts. For many women, this was their first time ever (some in a long time), engaging in full body workouts like pushups, burpees, jumping jacks, and squats. The Positivitree booth was a moment of mindfulness, which helped clients to understand simple ways they could overcome mental blocks, just by changing their perspective on how they think. Although many clients were hesitant to engage in the fair, almost every woman in attendance overcame her personal fears, and visited every booth, which afforded them an opportunity to receive a free HealthCorps SWAG bag. For many clients, this was their first time engaging in physical activity, getting their blood pressure checked, or even practicing the exercise of positive thinking. The Health Fair was monumental, not just for HealthCorps, but for the Good Shepherd Center as well. This moment showed many of the participants that they are not defined by their circumstances. It revealed that, not only are they worthy and deserving of quality health education, but that one can always find creative and affordable ways to be healthy.